Originally the Oddfellows Hall and built in 1889 it provided various entertainments such as the travelling theatre shows, banquets, concerts etc. - possibly visiting Bioscope shows were presented prior to World War 1. During the Great War Wareham folk used the Garrison Cinema at Worgret, just west of Wareham, but later this venue closed and no local cinema existed until the Empire Theatre opened in the Oddfellows Hall in 1920. 1927 - The "Talkies" arrived at the Empire. 1931 - Mr. Harry Mears was running the cinema. 1934 - Mr. Elgar took over running the Empire whilst also running the Palace, Isle of Wight. 1949 - Mr. Merrick died in an aircraft accident and his wife Vi continued to manage the business. 1963 - The cinema was renovated, the arched ceiling was added and a pair of 'Kalee' carbon-arc projectors were installed. The Boxing Day re-opening featured the musical 'South Pacific'. 1969 - The Rex was taken over by the Myles Byrne Group and managed by 'Rusty' Irons. 1987 - 'Rusty' retired and the Rex became the enthusiastic project by a group of local people. Over the years with the help of the Purbeck District Council, the Friends of the Rex, and the Rex Players much work has been done whilst still retaining the character of the cinema, but adding many improvements: including a new fire escape, new toilets, redecoration, replaced and re-spaced seats, new projectors, replaced curtains and a stair lift. The Rex Bar was added in the Oddfellows Meeting Room in 2003 and the Rex is now among the few cinemas in the UK where it is possible to have a glass of wine or beer whilst watching the film! 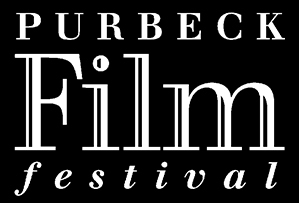 In 2009 the Rex was acquired by the Purbeck Film Charitable Trust.